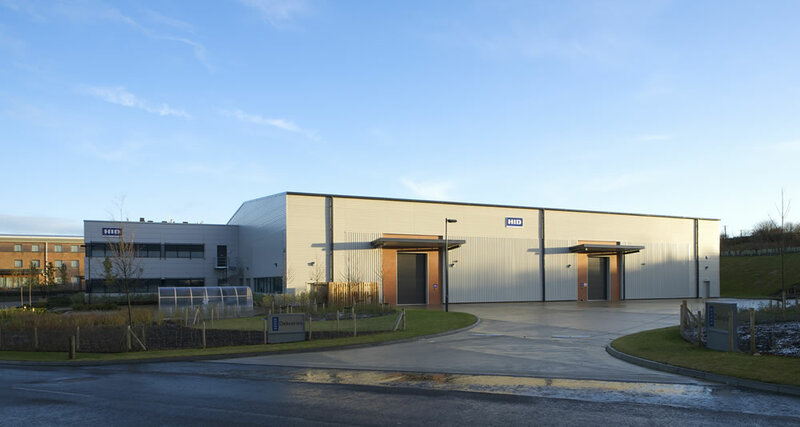 A 39,000 square foot manufacturing and distribution unit for HID at Haverhill Business Park. The building includes 16.000 square foot of offices on two floors. Frank Shaw Associates are also the master plan Architect for Haverhill Business Park. 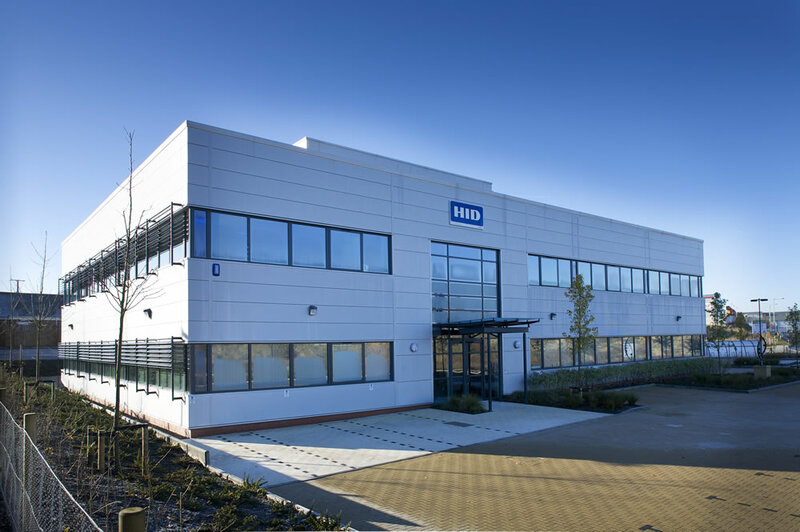 HID Global, part of the ASSA ABLOY Group, is a leading manufacturer in the access control industry, have recently moved into their new European Headquarters building on the Haverhill Business Park, following their fit out works. The building, which is prominently located along the A1017, totals 37,000 sq ft and comprises of 15,000 sq ft of offices over two floors and 22,000 sq ft of warehouse/production space. HID employ 60 people at this site. “HID Global is equally delighted to have made the Haverhill Business Park our Headquarters for the EMEA business. Our brand new building reflects perfectly the HID Global image and provides us with a very convenient and accessible location” states Tony Ball, HID Managing Director EMEA.